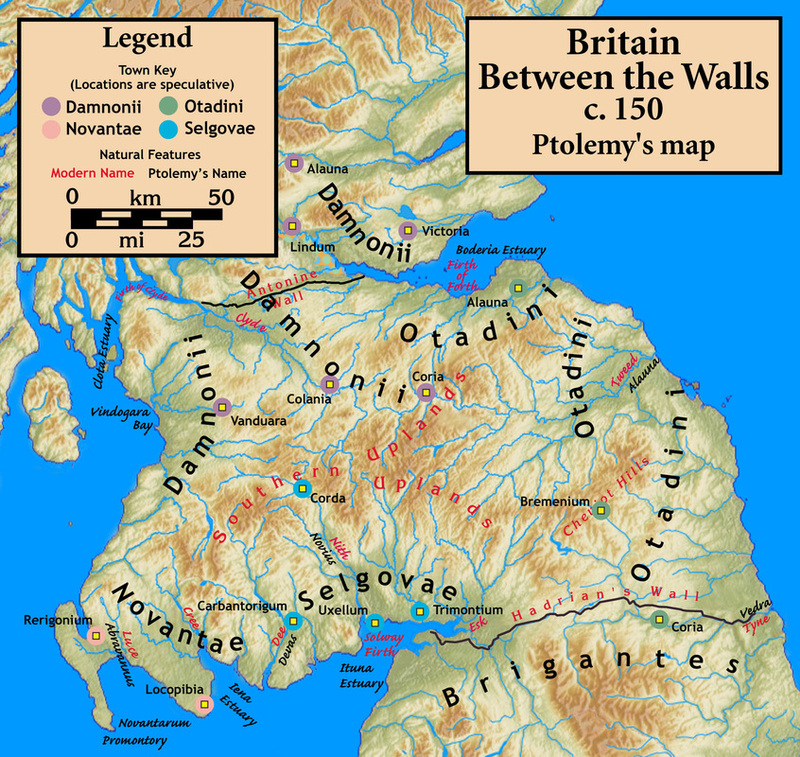 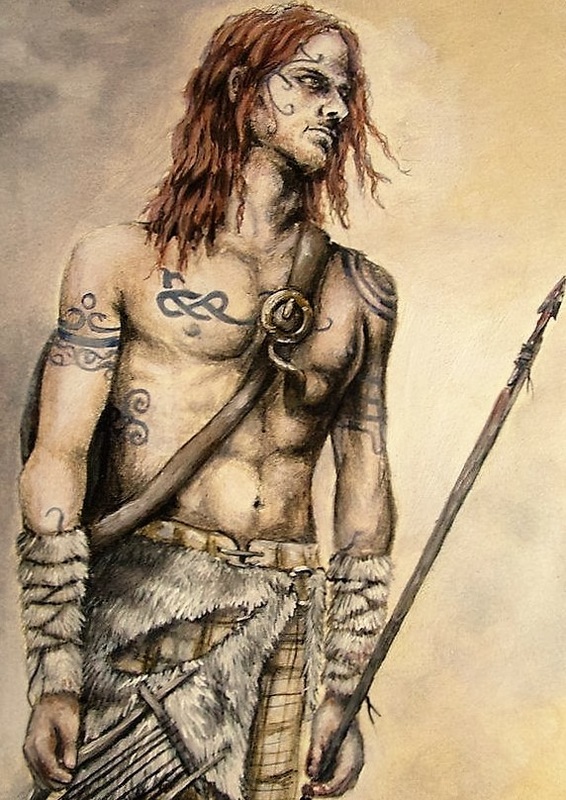 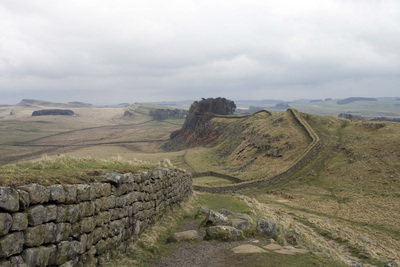 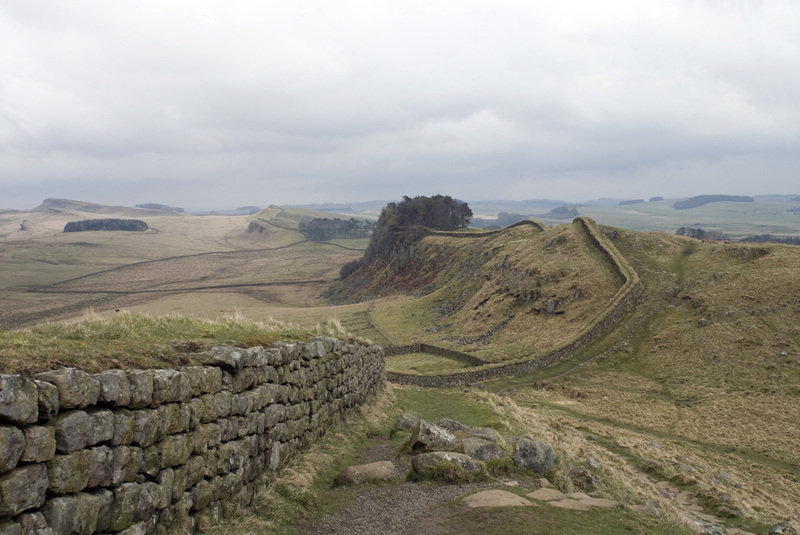 "The eagle doesn't capture flies"
The Picts - natives of Britannia living beyond Hadrian's Wall named for the 'pictures' tattooed on their bodies, and painting themselves with blue woad. 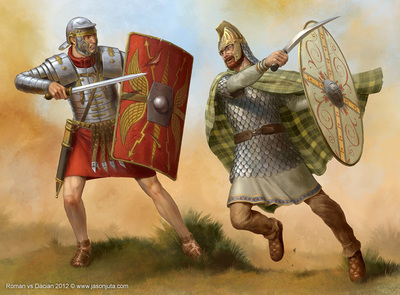 The Battle of Mons Graupius (AD 84) saw 8,000 Roman auxiliary infantry (the Roman legions sat in reserve and watched the battle) defeat 30,000 Picts; with 360 Roman casualties compared to over 10,000 Pictish dead. 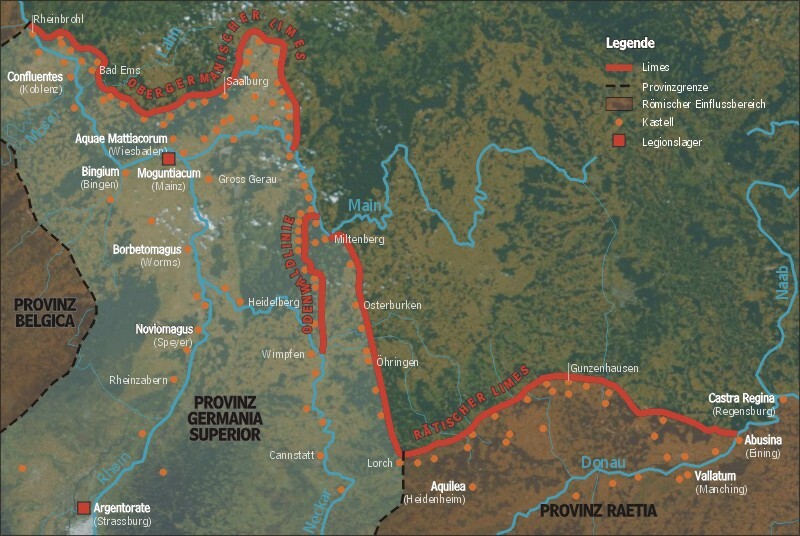 The Germans - a mix of inter-warring tribes such as Frisians, Cherusci, Chatti and Alemanni. Lazy, disorganized and undisciplined, they go into battle drunk on beer for courage, sometimes semi-naked, and are ferocious in the initial attack but soon tire and break so that it is joked that they are "men in the charge and women in the retreat!" 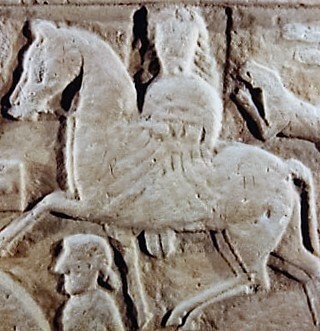 They are often employed as allied cavalry. The German chief Arminius, an ex-Roman centurion, sprung an ambush in 9 AD that massacred three legions marching through the Teutoburg Forest. 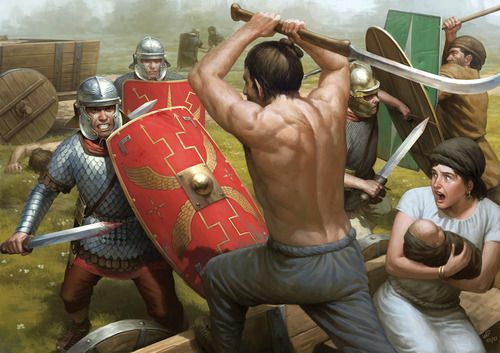 However he proved no match for the Roman general Germanicus in regular battle. 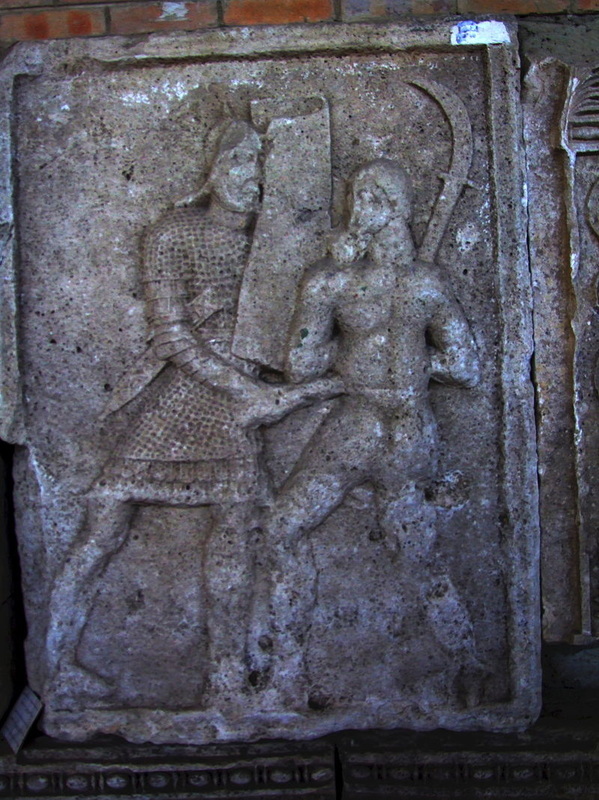 Arminius was murdered by his own kinsmen for his insufferable boasting. The emperor Marcus Aurelius defeated the German tribes in the series of Marcomannic Wars (166-180 AD). 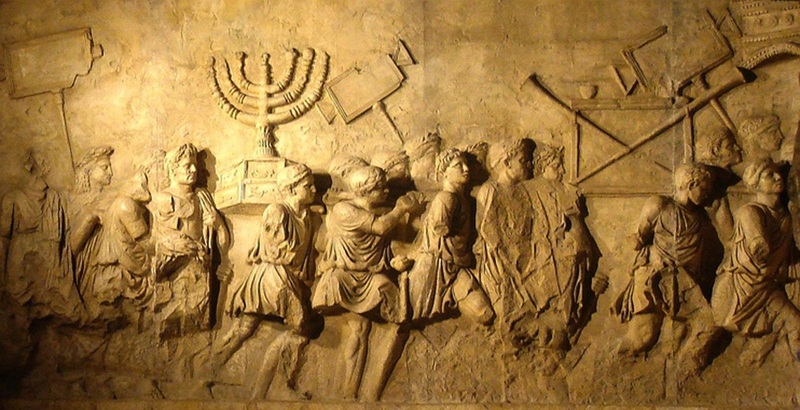 ​The Jews - Citizens of Rome, but seething with malcontent rebels like Maccabees, Zealots and Sicarri that fight guerrilla wars, often for religious reasons. 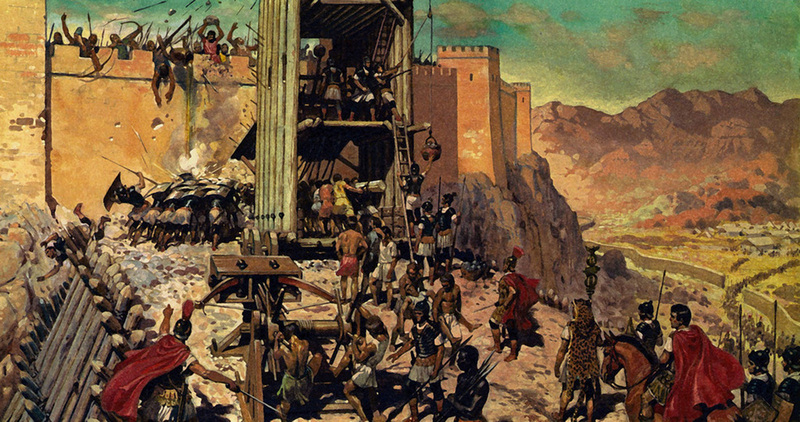 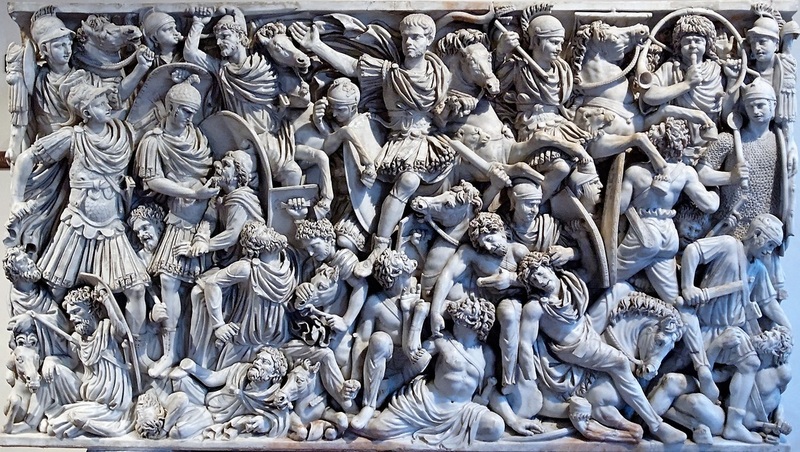 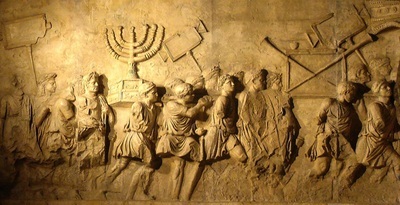 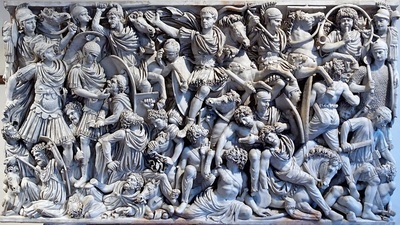 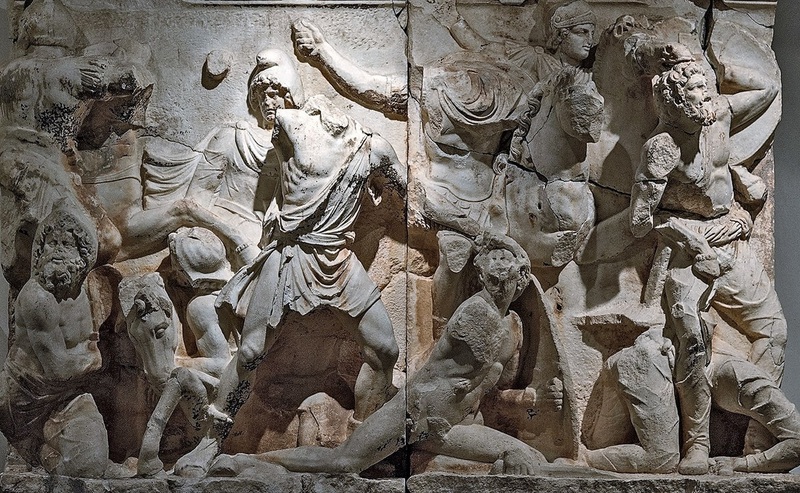 In 70 AD Vespasian's son Titus crushed the rebellion, sacked Jerusalem (as shown on the Arch of Titus in the Roman forum) and captured the impregnable fortress of Masada. 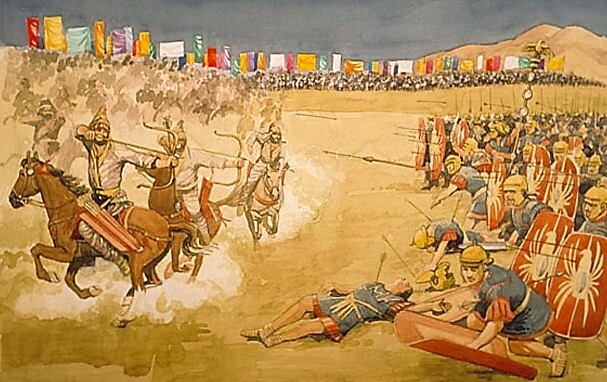 Revolt broke out again in the 115 AD Kitos War, and 132 AD Bar Kokhba revolt, both brutally crushed. 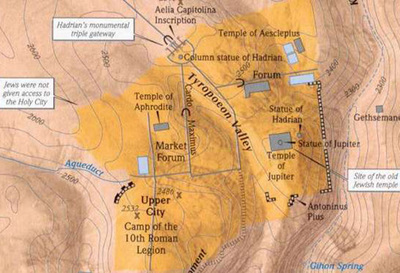 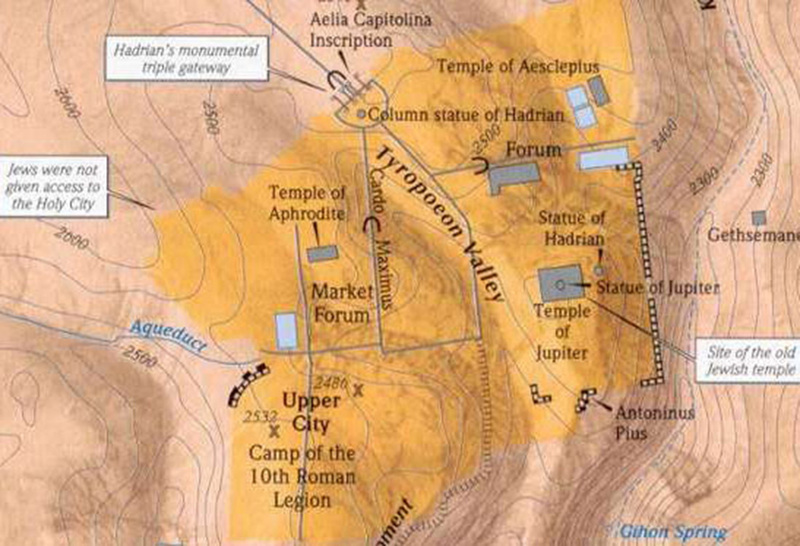 The emperor Hadrian combined Judea with neighboring provinces as Syria Palaestina and expelled all Jews from Jerusalem which was rebuilt as Aelia Capitolina. 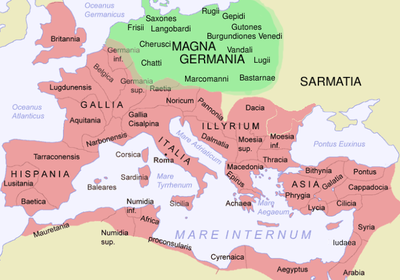 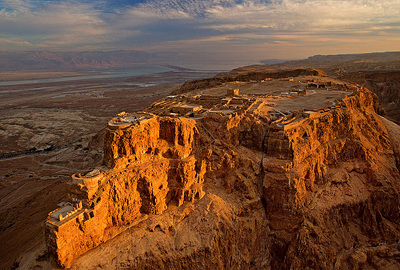 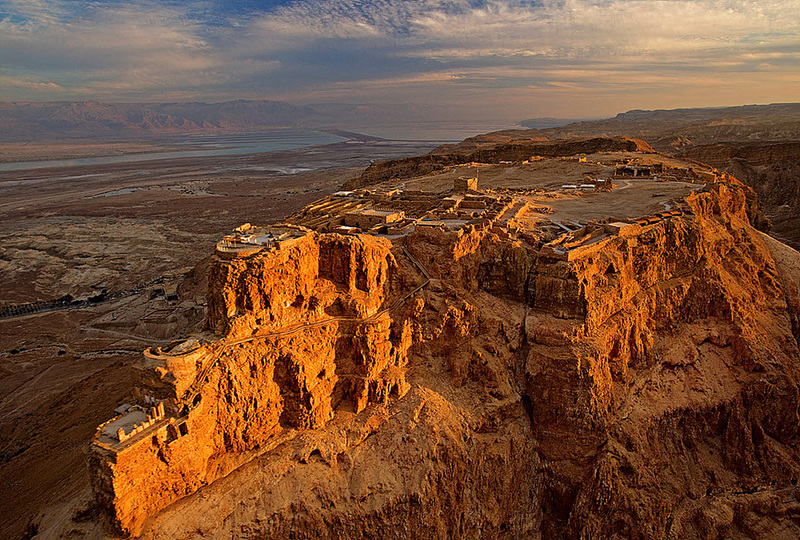 They remained in the rest of Judea, especially in the Galilee until after 800 A.D., when the prior Byzantine and Islamic conquests resulted in emigrations to Europe, especially Germany, Poland, and Spain; also to Central and Eastern Europe and Russia. 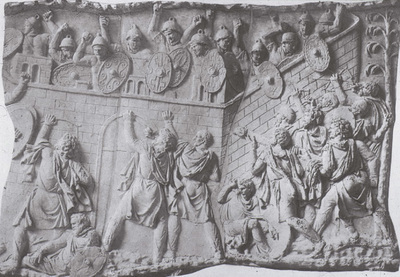 The Parthians - barbarian heirs to the Persians, they defeated the armies of Crassus and Marc Antony using fast horse-archers with recurve composite bows that can fire backwards the parting Parthian shot, and heavy-armoured Cataphract cavalry encased in steel plating. 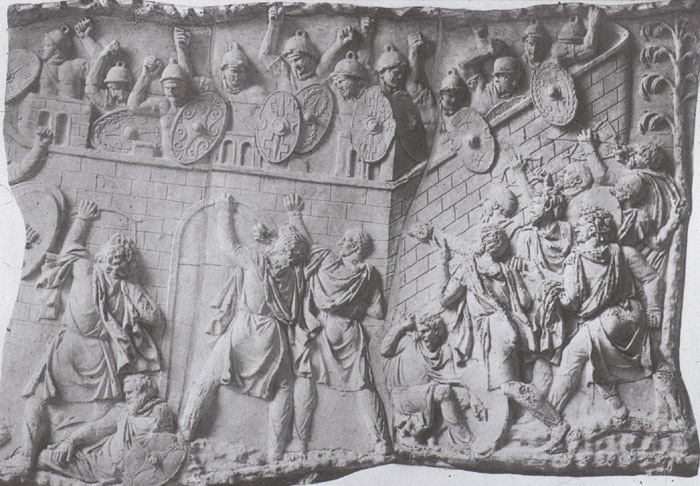 Defeated by Ventidius, the only Roman general to celebrate a triumph over the Parthians, and the emperor Trajan who captured Ctesiphon and annexed Parthia to bring the Roman Empire to its greatest extent in 115 AD. 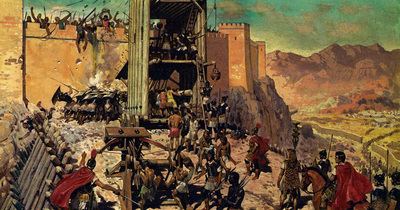 However, rebellions in Babylonia and the Jewish revolts in Judea made it difficult to maintain the captured province and the territories were abandoned. 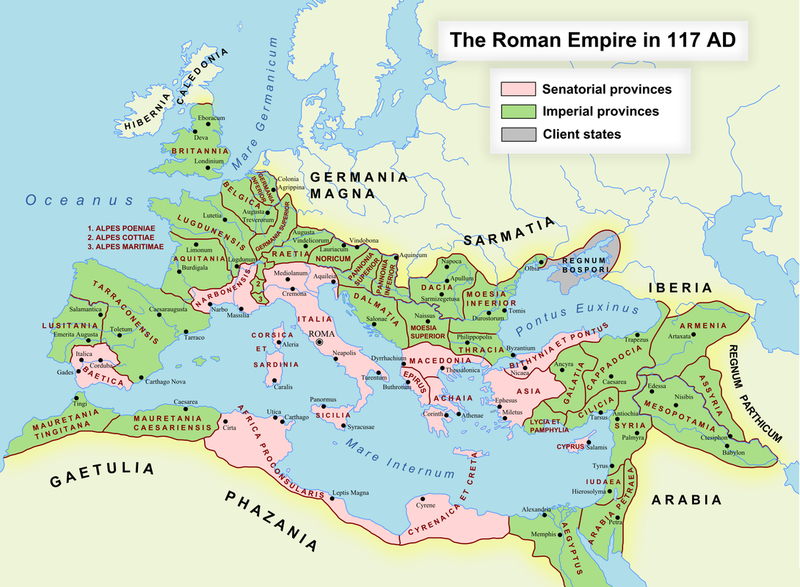 A revitalised Parthian Empire renewed its assault in 161 AD, defeating two Roman armies and invading Armenia and Syria. Emperor Lucius Verus and general Gaius Avidius Cassius captured western Mesopotamia, burned Ctesiphon and sacked Seleucia on the Tigris, forcing the Parthians to make peace. 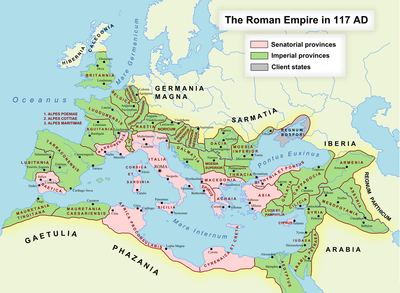 In 197 AD the emperor Septimius Severus defeated the Parthians in a brief war, again sacking Ctesiphon and capturing western Mesopotamia.